To celebrate St.Davids Day Mrs Hoffman led an assembly with some special help from Toby in Reception. The children looked at a map of the UK and found the town of St.David in Wales. 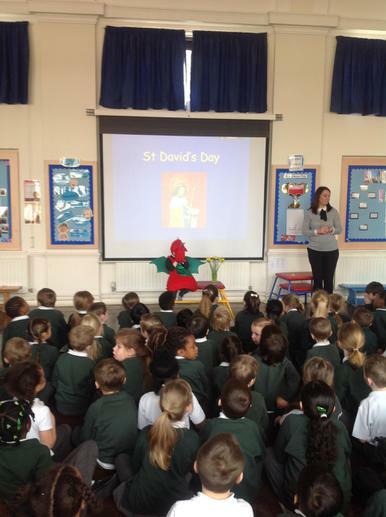 They found out how people celebrate St. Davids Day and the message that St.David gave.